Ugadi, Yugadi, Telugu new Year, Kannada New Year 2018 Date in India. 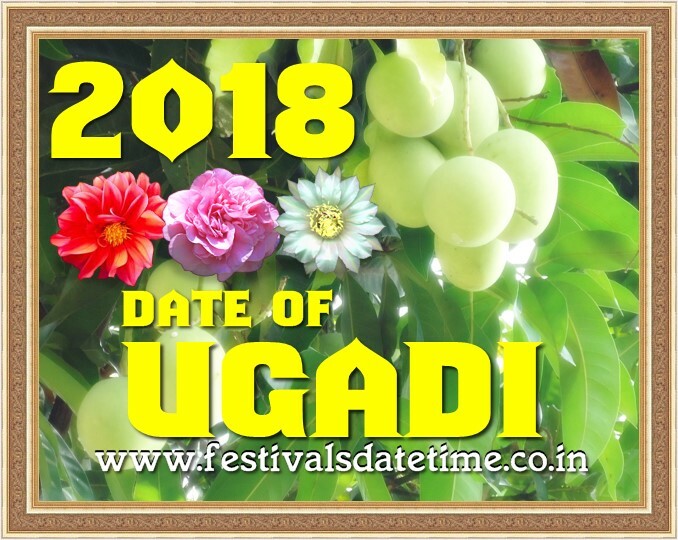 About Ugadi : Yugādi is the New Year's Day for the people of the Telugu,and Kannada communities in India. It falls on a different day every year because the Hindu calendar is a lunisolar calendar. This holiday is one of the most auspicious days for Telugus and Kannadigas. The Saka calendar begins with the month of Chaitra (March–April) and Ugadi marks the first day of the new year. Chaitra is the first month in Panchanga which is the Indian calendar. In some parts of India it is known as Vikram Samvat or Bhartiya Nav Varsh. This holiday is mostly prevalent in Andhra Pradesh, Telangana, Karnataka, and Maharashtra. Gudi Padwa, which is the Marathi new year, is also celebrated on the same day.